NEWTON: This year’s extended Fourth of July holiday has curbed a considerable amount of commercial real estate activity, but not everyone is frolicking at the beach, or so it would seem amid industry buzz claiming a coveted 126-unit apartment complex tucked inside Route 128 next to the Riverside train station is being acquired by Hamilton Co. at a price cresting $45 million. The exclusive listing of Boston Realty Advisors which was first unveiled by therealreporter.com in March could be finalized as early as week’s end, according to market watchers indicating Woodland Park at Riverside is being bought on an all-cash basis from BRA’s client, MJ Realty Trust. Calls to BRA founding principal Jason S. Weissman and Hamilton Co. leadership were not returned by press deadline, but indications are that the Allston-based owner and operator has indeed been selected as winning bidder. If accurate, the suitor’s pedigree would suggest Woodland Park was as well-received by investors as BRA predicted in coming available for the first time since its construction in 1965, BRA’s clients being relatives of the original developer. Comprising eight garden-style, brick-faced buildings totaling 92,225 sf, the structures and tree-shrouded grounds at the seven-acre infill site have been lovingly maintained through the years, Weissman told Real Reporter in the launch story where estimates had portended the units could trade in the mid-$40 million range as it apparently will if rumors bear out of a pending conclusion. The complex at 264-290 Grove St. was offered to bidders minus an asking price. At $45 million even, Woodland Park at Riverside would result in a per-unit rate of $357,000. On top of being a stabilized, cash flowing investment, Weissman had outlined earlier that all of the apartments are market-rate, notable considering many residential assets in metropolitan Boston have an affordability component. 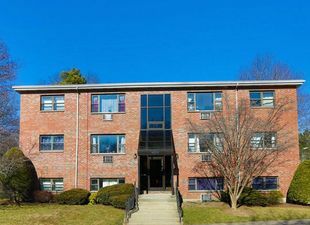 “That is a real distinction,” one CRE expert maintains in describing the anticipated sale price as “reasonable” weighed against the popularity of residential within the confines of Route 128 and other aspects, including superior fundamentals on vacancies and other robust multifamily metrics throughout the region, plus Newton’s lack of comparable inventory. “The barriers to entry there are very high,” acknowledges the source who concurs that would be weighed in deeming the worth of such an opportunity. Woodland Park has 79 two-bedroom, one bath layouts; 31 one-bedroom, one-bath units and 16 studio apartments, the average size of each being 790 sf, 732 sf and 494 sf, respectively. There is a generous parking ratio of 1.2 spaces per dwelling, although the transit access was also promoted as a highlight of the property, the Riverside station connecting riders to downtown Boston via the MBTA Green LIne and it has Amtrak service to New York City via Providence, RI. BRA pointed to Newton’s strong demographics as another attraction, with marketing materials placing the average annual household income in a three-mile radius to be $161,000 present and a figure expected to reach $174,000 by 2021. Led by founding principal Harold Brown and President Carl Valeri, Hamilton Co. has obtained apartments totaling several hundred million dollars in Greater Boston over the past decade, but the firm started in 1954 by industry icon Harold Brown has more recently focused on growth via development, having completed one $25 million project with 48 apartments in its back yard of Allston last autumn and the company is now underway on a $20 million, 44-unit project near Northeastern University that will be wrapped up next summer. Two more are in the planning stages that would deliver another 140 units to Allston, a platform that has Jameson Brown serving as vice president of development. The lack of input from make unclear whether Woodland Park represents Hamilton Co. returning to an acquisition mode or if the opportunity was deemed so unique and generational it was regarded a one-off situation worthy of changing course in that case. As Real Reporter revealed in its most recent issue, Hamilton Co. did just pay $5.2 million for a parcel in Somerville featuring a Goodyear Auto service center and adjacent 10-unit apartment building, but that Union Square conquest is considered a development site long-range as part of a master-planning process instituted by the city. Along with Weissman’s role as head of the BRA Capital Markets operation, others in the firm assisting MJ Realty Trust on Woodland Park’s marketing included partner Nicholas M. Herz and Associate Kevin Benzinger. The independent real estate services firm has a thriving multifamily practice that has harvested over $500 million during the past five years, although Weissman counted Woodland Park among his group’s most prestigious assignments in the March story. “This is an irreplaceable property that rarely comes available,” he had said at the time.